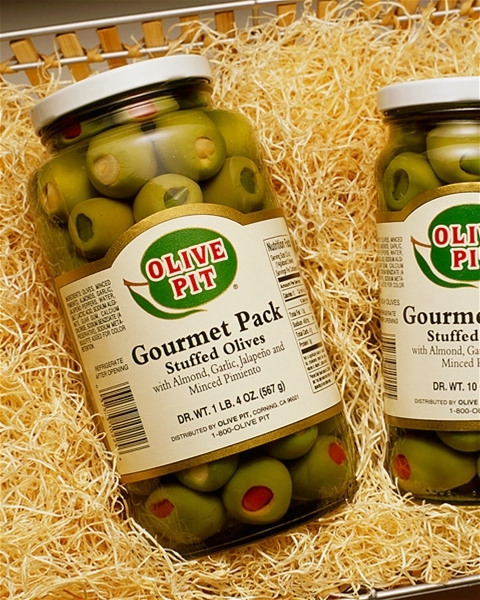 Jalapeño stuffed, Garlic stuffed, Almond stuffed, and Pimiento stuffed queen green olives create a gourmet blend of flavors all packaged in one jar. Set out a bowl of this gourmet combination at your next gathering as a unique and tasty appetizer. We picked these up at the Olive Pit on our way down I-5. What a great selection of products the store has! All four types of stuffed olives are good - love the Jalapeno slightly best - spicy but not too hot. Not going to wait until we drive by again - going to order more online and give as Christmas gifts.